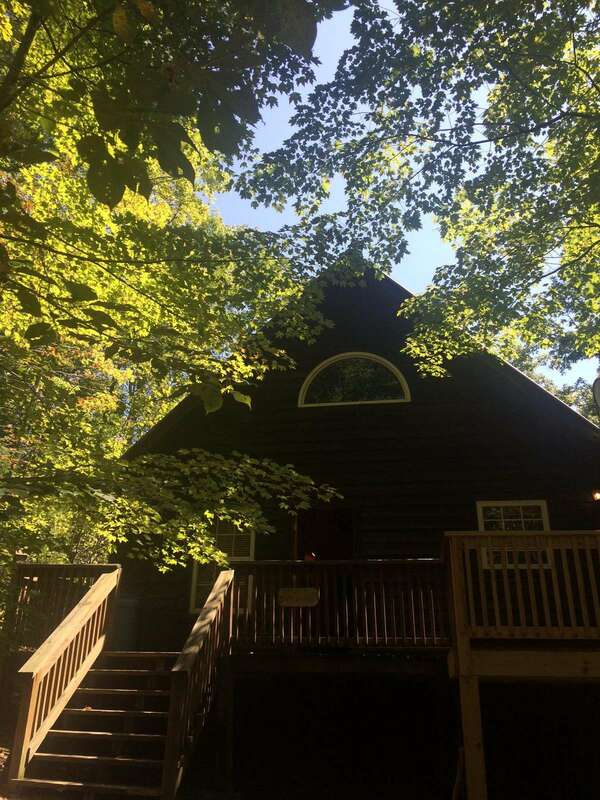 The Great Escape is conveniently located near Natural Bridge State Park and the Red River Gorge and sleeps 4 adults, It has 2 bedrooms with queen size beds, 1 full bathroom, and city water. 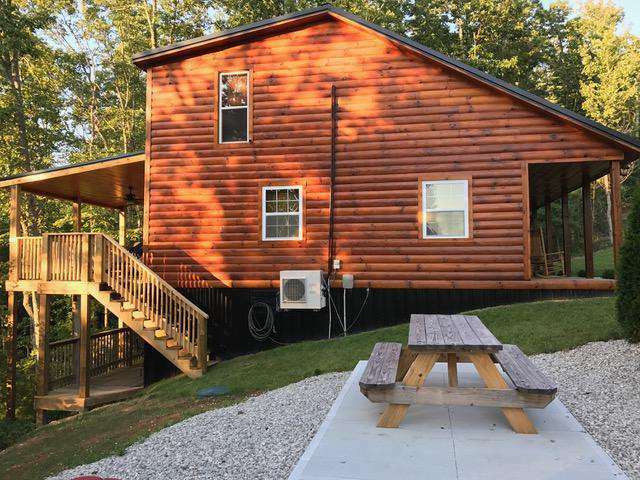 This is a newer cabin and totally updated with 2 large flat screen tv’s, Dish network Television with 120+ channels, Alexa, and Wi Fi internet. The main floor has the living room, large eat-in kitchen, 2 bedrooms, 1 full bathroom, laundry facility. The upstairs loft has an additional living room seating area, foosball game, shuffle board game, pub table with stools, and large flat screen tv. The Great Escape has multiple outdoor seating areas with 720 sq. ft. of decks & porches. The upper deck has a covered seating area with ceiling fan and heat lamp, and the uncovered area has a large hot tub, and gas grill making this deck area perfect for an evening relaxing under the stars. The lower deck area has a pub table with 2 bar stools, a chaise lounge, and a hanging log chair. The front porch has 4 wood rocking chairs, with side tables perfect for a morning cup of coffee while listening to the birds. The fire pit is surrounded by 4 adirondack chairs perfect to relax in while enjoying your favorite beverage or grilling hot dogs. There is also a picnic table area to enjoy a nice outside lunch. This cabin has convenient parking with easy access to cabin. The Jordan Cabin is secluded and cozy and off the beaten path. This is a great cabin for 2-3 people. It has a front porch with a charcoal grill and a picnic table to eat and watch the sunset. It is located on a hillside with a great view. There is a queen bed, loft twin bed and couch with a built in recliner. The bath has a double shower and a seat. The full kitchen has a mini fridge and all the cooking utensils for a great meal. There is central heat and A/C. The corner wood burner is for decoration only and not operational. There is a childrens loft with a ladder that can be used with sleeping bags or air mattress. There is an outside fire pit. 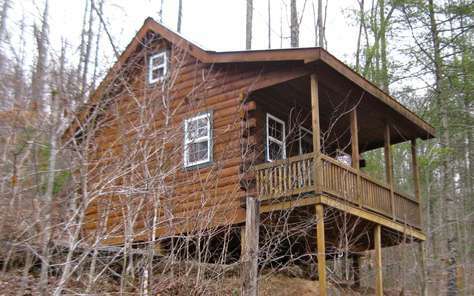 This cabin is over 10 miles from Natural Bridge but quick access to Red River Gorge and hiking trails. 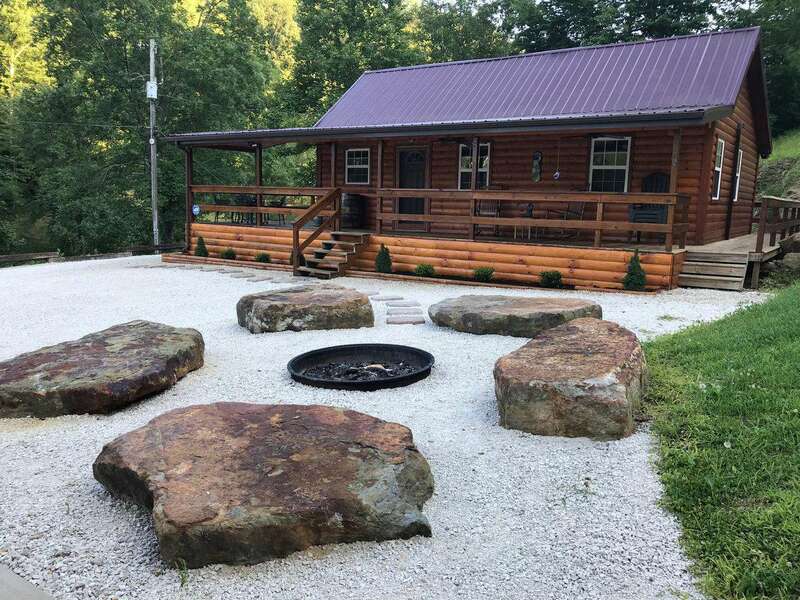 Lone Pine is conveniently located near Natural Bridge and the Red River Gorge, Lone Pine is unique to other cabins as it sit’s secluded on 160 acres of primarily wooded land while still having all the needed conveniences nearby. This is a newer cabin the inside consists of a fully equipped kitchen, living room with gas fireplace, dining room, small loft, 1 bedroom with a queen size bed, 2 full baths, laundry facility, 2 - flat screen tv’s, wifi, dish network with 120 plus channels,and multi zone heating and air conditioning. The outside offers a walk around porch with porch rockers, a dining table and chairs, swing, Hot tub, gas grill plus a covered dock at the pond that has a pub table and stools, 4 rocking chairs and lighting for evenings. Enjoy sitting at the Fire Pit on the large rocks watching the burning fire while enjoying each others company or watching the evening stars while sitting in the hot tub. Have your morning cup of coffee while sitting in a rocker on the front porch or take a short stroll to the pond and sit on the covered dock and watch the water ripple. If your feeling energetic take a walk on over 4 miles of walking trails. If you want to see wild life then this is a good choice visitors regularly see deer and turkey at this cabin. This cabin has easy access with a two wheel drive car and ample parking plus a concrete area great for motorcycles. 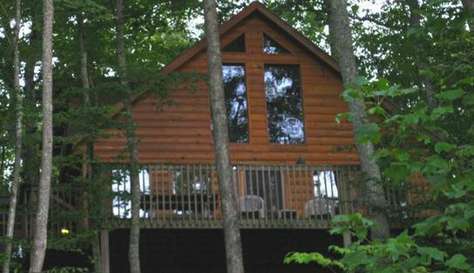 This cabin is non smoking and pet friendly accepting only 1 small house pet. There is an outside firepit. There is plenty of hillside to walk or enjoy from the deck which has a a covered area with a swing and an uncovered area for the sun lover's. The hot tub makes it complete. 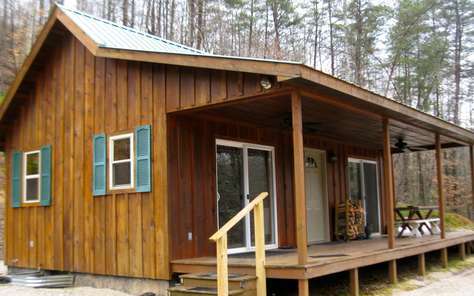 This cabin has 2 full baths, 2 living areas and 2 kitchens. It is a great place for families and friends There is a bedroom with 2 queen beds, 2 bedrooms with a queen bed, a set of twin beds and 3 sleeper sofas. The cabin will sleep 12 comfortably. It is close to the east entrance of the Red River Gorge. This is a great place for family and friends to gather. Guests of 6 or less call for discounted rate for 2 queen beds and 2 twin beds with 1 bath. Winter requires a front wheel drive. There will be an additional fee charged for extra garbage on the grounds including cigarette butts.